My mom always said “you only make homemade pie crust for people you love.” This is a true statement as pie crust is a labor of love. It really isn’t hard, but it does take a little time, effort, and mess to make. My mom always made pretty much everything from scratch and I have many memories of her rolling out the dough for pie crust. Pie was her favorite, and her specialty. Every holiday in our house was celebrated with pie. Thanksgiving was really a time to rejoice as she spent DAYS making pie. We would have apple, pumpkin, pecan, and french silk every Thanksgiving. It was amazing! The heart of her pie started with this simple crust. 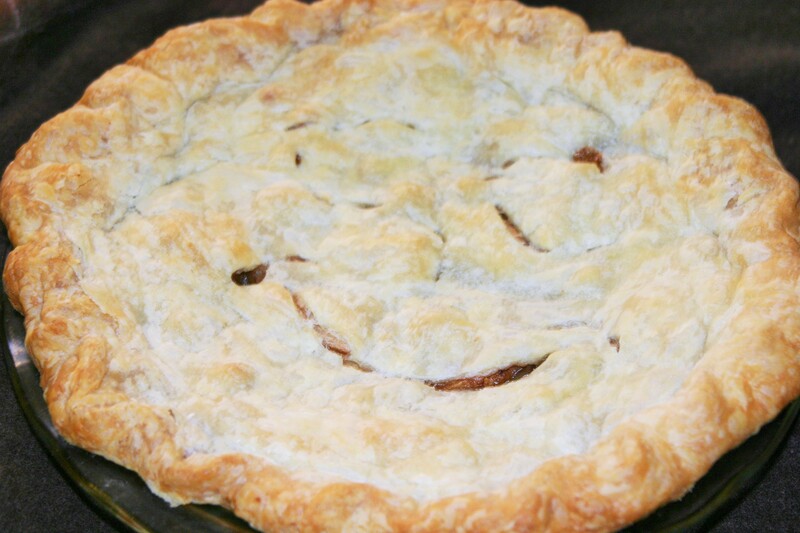 The perfect pie crust is light, flaky, a bit salty, and falls in crispy pieces when you take a bite. This crust has always been vegan, the accidental vegan thing, and lives up to the perfect crust. I have added a few tips and tricks from my mom for a perfect crust which I am sharing after the recipe. I had a lot of fun with this post and I didn’t even have to make the pie! My mom is here for a visit and she joined me for a video and made me an amazing apple pie with her perfect crust. I got to help:) It was a perfect rainy day of baking and hanging out with my mom and filming the video with her while Wolfie took a super long nap. I don’t get much better than that! 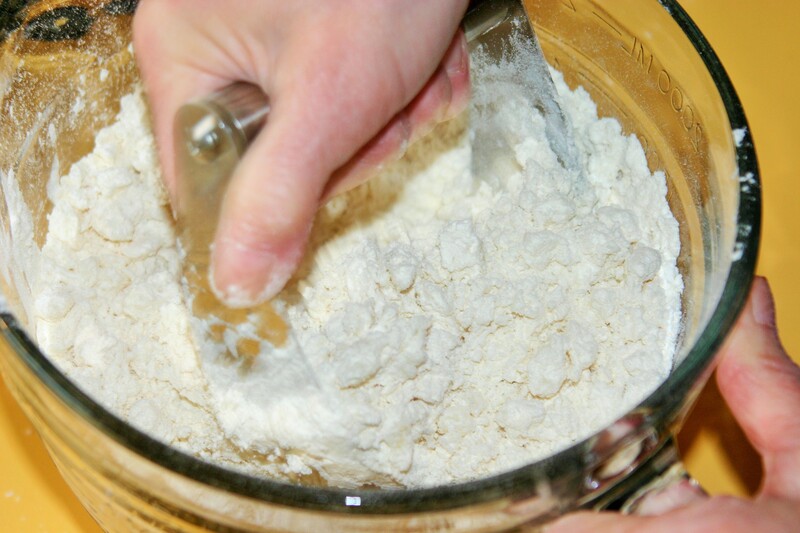 Mix the flour and salt together in a medium bowl, or in your food processor. Cut in the shortening with a pastry cutter, fork, or with short pulses in your food processor. Mixing with a fork, rubber spatula add just enough of the water to hold the crust together in a ball with no large cracks when you press it together with your hands or the spatula. 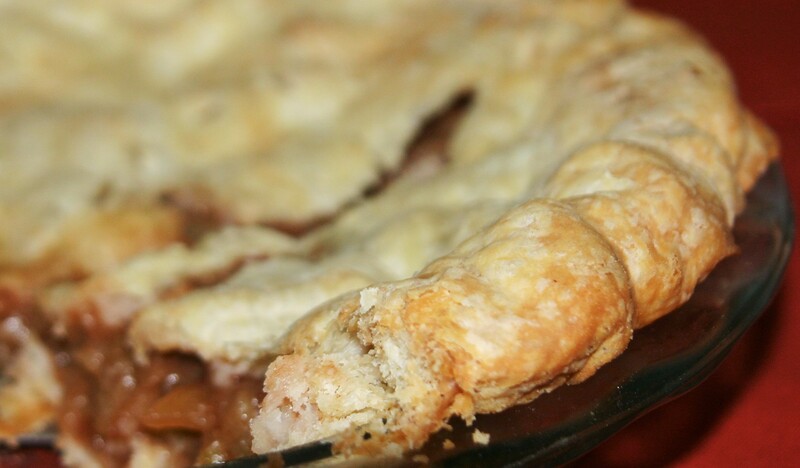 Use the crust to make anything that requires a perfect pie crust. 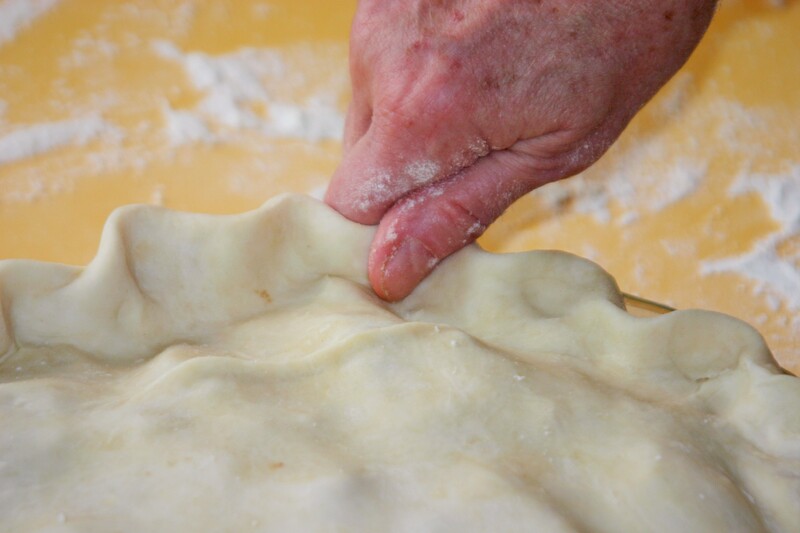 The less you touch and play with your crust the better it will be. The more you work with a wheat crust the more the gluten in the wheat develops. When gluten develops it makes the product chewy; perfect for bread, not perfect for pie crust. A food processor works great, just do quick pulses until it looks right. Measuring is not exact, go by look and feel. The consistency of the crust will change based on the type and brand of flour, and how you measure your ingredients. A scale is much more exact, I don’t use one so my measurements are a place to start. Check out this video to see each stage. Never make crust when you are in a hurry. It just won’t work. One of those things. Take your time, at least until you have it down. You can use fats other than vegetable shortening, but my mom says it’s the best, so why even go there? Cutting the shortening in. This is how it should look right before adding water. 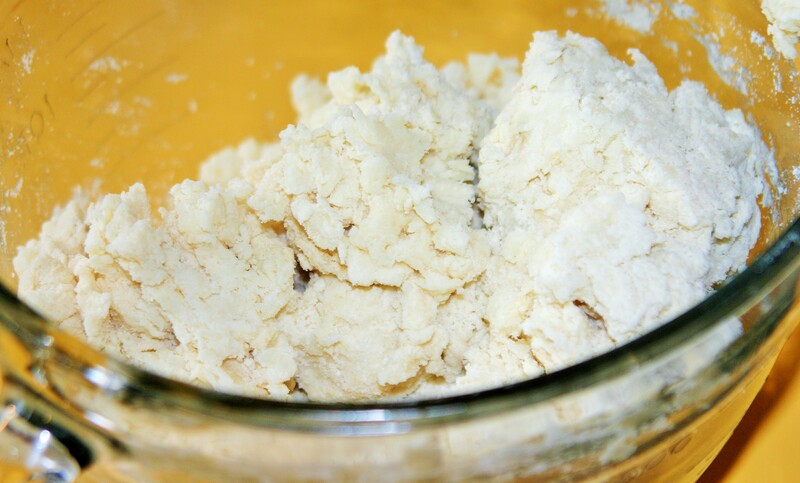 The dough with water, before rolling it out. This post delights me on so many levels! First, I love that my sister is making pie on a rainy day, with her precious daughter! I love knowing how happy you both were in those perfect moments. And I am thrilled that I now have these tips and tricks for making her EXTREMELY flaky and delicious pie crust! I’ve been trying to do this…and thus far, should have only used it for cinnamon crisps (a childhood favorite treat). I am now inspired to try it again…with much less handling!!! The fillings for these crusts will be yummy, but nothing near my dear sister’s pies! She does make the best pie crust! Look for a video soon!